Discussion in 'PTC - PRS Tech Center' started by Contiuum, Aug 11, 2018.
good i uploaded a photo now, any ideas ? 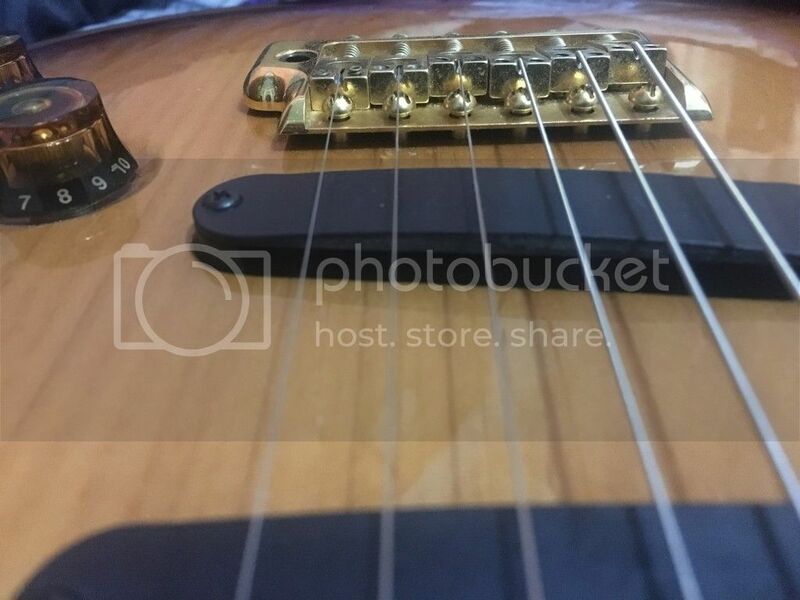 Is the nut slot for that string higher by chance? I like a low action. I find it’s not uncommon for me to lower the high E saddle to the bottom on a trem. I agree that there should be enough tolerance to allow it to fret out or at least buzz. so should i lower the bridge 0,5 mm? All the way across, yes. Make sure you detune the guitar before you start lowering.